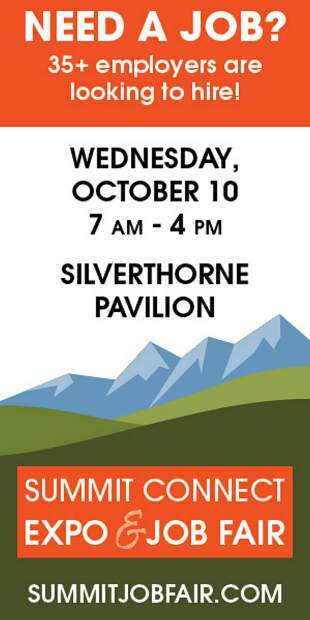 Local job-seekers might find a helping hand at Wednesday’s Summit Connect Expo and Job Fair from 7 a.m. to 4 p.m. Wednesday at the Silverthorne Pavilion. According to organizers, more than 35 local and regional companies will be represented at the job fair, including some from Summit and Eagle counties, where they will be talking with job seekers and hosting interviews throughout the day. Many could be hiring on-site. Based on pervious responses to the event, organizers have expanded the hours of the expo and job fair. Also, new this year, the job fair will come with lunch from 11:30 a.m. to 1:30 p.m., courtesy of the Summit Chamber.